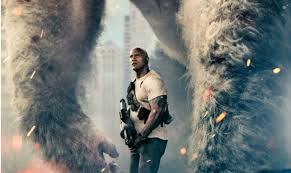 Burbank, California (April 10, 2018) – Warner Bros. Pictures and TheaterEars announced today that the upcoming release of New Line Cinema’s action adventure Rampage will be made available on the TheaterEars app. TheaterEars uses the Spanish-dialogue version to playout with the film for those audiences who wish to experience the film in Spanish. “We are honored to work with Warner Bros., one of the premier producers of motion pictures in the world. The support that we’ve received from them has been tremendous and this relationship allows us to offer even more access to Latino moviegoers,” said Dan Mangru, CEO of TheaterEars.